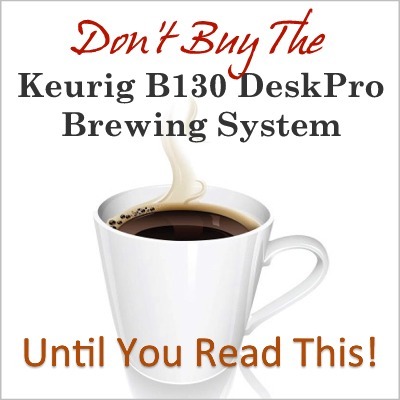 Is the Keurig B130 Deskpro Brewing System right for you? 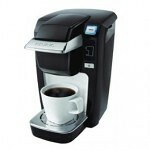 The Keurig B130 DeskPro Brewing System (also known as the Keurig K130) is a solidly built single cup coffee maker. Its small size makes it ideal for tight spaces. While it uses the more expensive K-Cups instead of ground coffee, this allows for easy setup, cleanup and nearly fool-proof coffee-making. According to user reviews, it’s important to follow the manufacturer’s cleaning and maintenance instructions for continued good service. 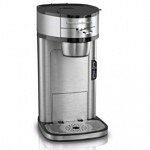 Despite being a commercial brewer, this coffee maker is popular for home use. Unfortunately, it’s UL rated as Commercial Use Only and should not be used at home. The warranty will be voided due to safety concerns. Learn more about UL listings. If you’re looking for a machine for your home, consider the Keurig K10 (B31) Mini Plus (read our review here). This highly rated machine is the home version of the B130 DeskPro. Also, visit our comparisons of all household and commercial Keurigs, as well as our review of the new Keurig 2.0 (both links open new windows). Skip to our conclusions about the B130 DeskPro. The Keurig B130 DeskPro Brewing System is identical to the Keurig B130 In-Room Brewing System made for the hospitality industry, and to the Keurig K130. Because the Keurig B130 DeskPro Brewing System is designed to put minimal strain on heavy-use electrical systems (like hotels/motels and office buildings), it uses less power than most home brewers. 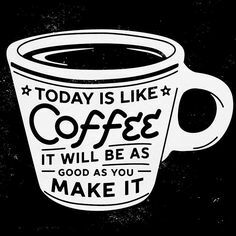 That means it takes a little longer to brew a cup of coffee. Even so, this brewer makes coffee quickly (in about 3 minutes) using pressurized hot water and pre-packaged coffee in the form of K-Cups. Pressurizing the water allows it to move through the coffee and extract flavors much more quickly than a standard drip coffee maker. The brewing happens within the disposable K-Cup so there are no used grounds or coffee filters to deal with, making this a tidy coffee maker for office, travel, and commercial use. The single-use water reservoir holds enough for one 8-ounce cup of coffee or tea. It does not store “hot and ready” water to make subsequent cups more quickly, so each time you want a cup of coffee you’ll need to add water and start over from scratch. Simply repeat the full brewing process for each cup of coffee. The Keurig B130 single cup coffee maker is sturdy and easy to use, with instructional graphics printed on the front of the machine (on metal so they won’t peel off) making it look much like the brewers you see in hotel rooms. It’s available in black with silver trim. Make sure the coffee maker is plugged in, then press the large “Press to Open” button on the top of the machine and insert a K-cup. Firmly close the lid so that the K-Cup is punctured to allow water to flow through. The water tank lid will automatically open. Fill it with tap or bottled water to the “Fill Level” indicator (8 ounces). Close the cover. The “Place Cup” light will be flashing (the mug sensor tells the machine whether or not a mug is in place and won’t brew without one). Place a 10-ounce cup on the drip tray under the dispenser, then press the now flashing “Brew” button (the drip tray is for catching spills but can be removed to accommodate a taller cup). The “Heating” light will illuminate, indicating that it’s heating the water. That light will go off when it’s done heating and the coffee begins to dispense. Repeat this process for subsequent cups. K-Cups. 200+ flavors of coffee and other beverages are available. 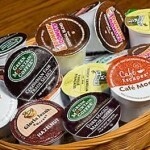 K-Cups are available from various well-known coffee brands, offering many coffee options. Tea and other hot and iced beverages can be made, with and without using K-Cups. No coffee or water filters are required and none are available for this machine. Filtered or bottled water is recommended. K-Cups are more expensive than ground coffee but there’s no waste and they make cleanup a breeze. This machine produces 8 ounces of coffee per serving. Instructions say to use a cup that holds 10 ounces. The machine is sized to fit a styrofoam cup, so especially tall or wide cups or mugs may not fit. It does accommodate a cup that’s 4 1/4″ tall and 3 3/8” across, although this is too large for 8 ounces of coffee. The drip tray can be removed to accommodate a taller cup – helpful when making iced beverages. It takes about 3 minutes to brew each cup of coffee. This machine operates via manual push-buttons. LED lights indicate which step of the set-up and brewing process the machine is on. After you’re finished brewing, remove the K-Cup, inspect the K-Cup holder and remove and rinse it if any grounds are present, then snap it back into place. If water is present in the tank, place a cup on the drip tray and press and hold the “Brew” button until all the water drains out. Empty and rinse the drip tray, if necessary, and dry it with a soft cloth before replacing it. Wipe down the outside of the coffee machine with a soft cloth. Avoid using cleaning agents. The drip tray, drip plate, funnel and K-Cup holder are dishwasher safe. The manufacturer recommends de-scaling the inner working parts annually using 8 ounces of liquid citric acid (can be made from powdered citric acid), undiluted white vinegar or Keurig’s Descaling Solution (add link). You may need to repeat the de-scaling process if there’s a lot of mineral buildup in your machine. Better yet, de-scale more often to prevent excessive buildup – 3-6 months is a reasonable schedule for preventing scale buildup when using water with substantial mineral content (“hard” water). If the B130 is not producing full cups of coffee (not all of the water is flowing through), start by cleaning the exit needle (remove all coffee grounds) and follow with a de-scaling. If no water is coming out at all, clean the entrance needle also. Any coffee grounds that make their way into the water reservoir need to be removed in order for the machine to work properly. This machine has a one-year warranty against defects. The manufacturer can be reached by phone 7 days a week and any time by email, although the seller handles refunds and replacements. Replacement drip trays and water reservoirs are available, but call the manufacturer’s help line first, as they may offer another solution. Keep in mind that the warranty will be voided if you open up the machine to try to diagnose a problem or fix it yourself. Unit size: 11.1″H x 10.0″D x 7.0″W. Overall height when the water tank lid is open is 14”. Cord: 68” long, non-retractable, with a three-pronged plug. UL & c-UL Listed for Commercial Use Only. Handy K-Cup Storage Units . A solid, basic single cup coffee maker that is simple to use. Its small size makes it great for small spaces like office desks. It’s small and light enough to take with you on the road. Sturdy – built for commercial use. Can be used to make coffee and tea in a variety of flavors, as well as other hot and iced beverages. There’s no need to use special water, although filtered or bottled water is recommended, and hard and softened water is discouraged. No filters to deal with. Rates high in consumer reviews. 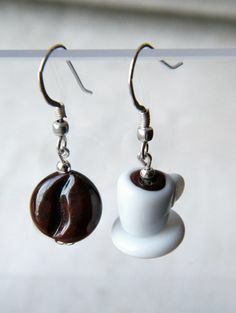 Produces a limited amount of coffee per cup. Does not have a reservoir with hot water, therefore the brewer must heat and brew each cup of water separately. Does not accommodate travel mugs. Is not designed for use with ground coffee. The My K-Cup adapter for brewing ground coffee does not fit this machine. The setup process requires an exact sequence, which may confuse some users until they get the hang of it. Takes a little longer to brew than most home brewers because it uses less wattage. UL listed for Commercial Use Only – not intended for home use (a plus if you’re looking for a machine for your office or other commercial building). 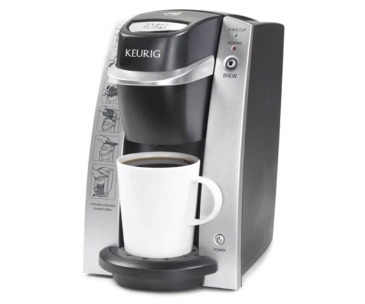 Run a few cups of water through the machine (without installing a K-Cup) to remove that “new coffee maker” odor. If you want more than 8-ounces of coffee, you can refill the reservoir after the first brewing and run it again with the same K-cup installed. Be careful how much water you add for the second brewing. You can easily overflow the cup you are dispensing into if it hasn’t been emptied prior to the second run. We suggest emptying the first cup of coffee into a large mug (or travel mug) before using that cup again for the second brewing – then pour the second cup of coffee into the larger mug, as well. You’ll need to experiment to determine how much water to use on the second run, as some users report that the second use of the K-Cup produces weaker coffee. Some users report being able to brew ground coffee using a third-party K-Cup replacement filter, such as Solofill or EZ-Cup (and the EZ-Cup paper filters) made by Perfect Pod. Be aware that you may void the warranty by using K-Cup substitutes and that this practice is strongly discouraged by the manufacturer. Other users report reusing the K-Cups several times by filling them with their favorite ground coffee and covering them with plastic covers that can go over a used k-cup. Reusing the k-cups keeps the fine grounds out of the cup. The water reservoir on this single cup coffee maker is filled from the top, making it a little difficult to see the “Fill Level” indicator if the coffee maker resides on a standard countertop (especially if you’re short!). Some users recommend measuring out 8 ounces of water into a measuring cup (a styrofoam cupful) and pouring that into the machine. The opening for pouring the water into is small. Avoid spilling the water by using a measuring cup with a pour lip. Or, slightly bend the rim of a Styrofoam cup to create a narrow pouring area to more easily direct the coffee into the reservoir. Be especially careful not to spill water if you’re using the machine without the drip tray. Sometimes when removing used K-cups the machine assumes you’re inserting a K-Cup and the lid pops up to add water. If you simply close the lid, then the brew light comes on. Press the “Power” button or unplug the machine to stop the cycle. 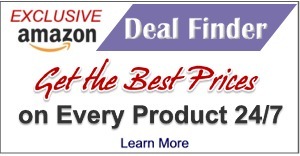 This single cup coffee maker is a bestseller on Amazon.com and is highly rated with 662 reviews at the time this was written. 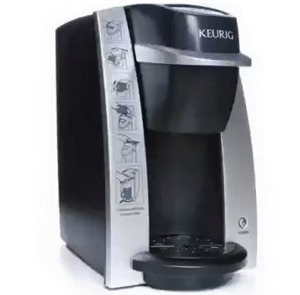 Users report that this coffee maker (Keurig B130 DeskPro Brewing System ) produces excellent coffee, and they appreciate all of the coffee, tea and other beverage choices available in K-Cups (250+ to choose from). Those who complain about weak coffee are encouraged to try other K-Cup flavors until they find a bolder blend that suits their tastes. An economical way to do this is to begin with K-Cup Sampler Packs . Some users report that the coffee this machine produces is not very hot (drinkable without having to wait for it to cool), while others say the coffee is steaming hot. When asked about this, the manufacturer stated that the coffee is brewed at 192 degrees, so it comes out of the machine very hot. However, the temperature of the cup, as well as cold creamer can lower the coffee temperature. They recommend pre-warming the cup by filling it with hot water and letting it sit for a minute before emptying it and placing it on the drip tray for brewing (or rinse it under hot water for a minute or two). They also recommend placing the cream in the bottom of the cup before brewing, rather than pouring it into the hot coffee. A common complaint is that this coffee maker can begin to produce partial cups of coffee (not all of the water flows through). Cleaning the exit needle and/or de-scaling usually fixes this. If no water flows through at all, you may need to clean the entrance needle as well, removing all coffee particles from both needles. A handful of users report that this machine is noisier than they expected it to be, but most users do not report this as an issue. The Keurig B130 DeskPro Brewing System is very reasonably priced and offers good value for a commercial-use pressurized single cup coffee maker. and you feel that 8 ounces is enough coffee per cup (or are comfortable doing a second brewing to produce a larger amount). We appreciate the DeskPro’s small footprint, portability, ease of use and the variety of available coffees and assorted beverages. This machine is a good choice for office and other commercial buildings, but because of the UL listing and warranty issues it’s not appropriate for home use. 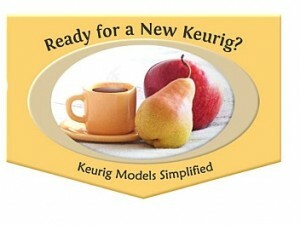 For your home, you might consider the Keurig K10 (B31) Mini Plus . 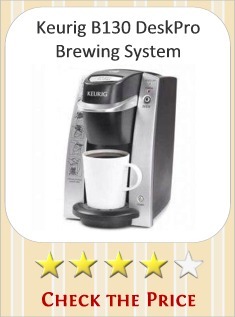 This is also a highly rated single cup coffee maker and it’s UL listed for Household Use Only, eliminating the warranty and possible safety issues associated with using the DeskPro at home. For just a few dollars more than the B130 DeskPro you get a similar brewing system but can choose between three serving sizes (6, 8 and 10 ounces of coffee) and 6 machine colors. The K10/B31 Mini Plus also brews more quickly (higher wattage), and while it’s slightly larger than the DeskPro, it’s still quite compact. All of the K-Cup coffee and other beverage varieties work with this machine, as well.